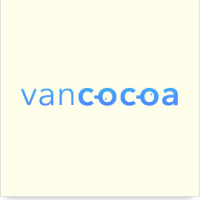 Join us for an extra special edition of VanCocoa, featuring renowned Seattle developer Laura Savino and Twilio's Chris Eagleston! Doors at 6:30pm, with talks starting at 7pm. Due to security requirements at VFS we can't admit folks once the talks start. Laura Savino - Screen Curtain On: How exactly does VoiceOver work, anyway? Laura Savino on VoiceOver: You want to make your app accessible, but let's be honest: you've only got a vague idea of what all those well-intentioned accessibilityLabels actually do. In this hands-on, ears-on, screens-off workshop, you'll practice a bevy of custom Voiceover gestures (three-finger triple-tap, anyone?) and learn to zip through apps with a totally black screen – so next time you're building an app, you'll spot those glaring accessibility gaps well before you ship. Bring your earbuds and an iPhone, iPad, or iPod touch to play along! Chris Eagleston on building the Twilio SDK: At the start of 2016 Twilio shipped the first beta version of a Programmable Video SDK for iOS. Since then they’ve on-boarded a large number of Objective-C and Swift developers to the platform, reaching the 1.0 milestone in April 2017. What does it take to build and maintain a real-time video client, and what lessons were learned during the process? The event is at the VFS animation campus across from Woodwards, located at 151 West Cordova Street, in Theatre 105.